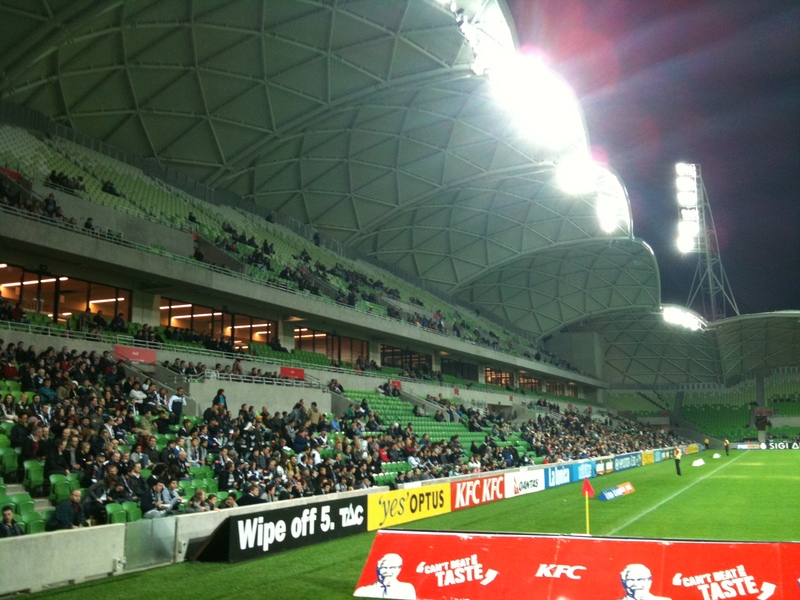 If Melbourne’s new rectangular stadium (now known as AAMI Park) were a person it probably would have taken a restraining order out on me by now. For two years now I have visited/stalked the site on pretty much a fortnightly basis to photograph its progress in the hope of creating one of those photographic animations which illustrates the process of the construction. You may ask, why this obsession? 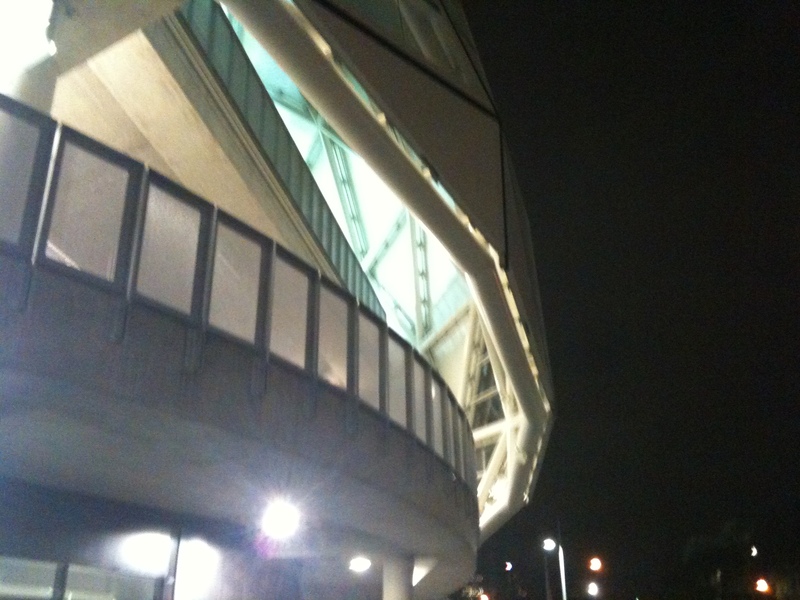 For me, this eye-catching building encapsulates two of my passions, football and architecture. 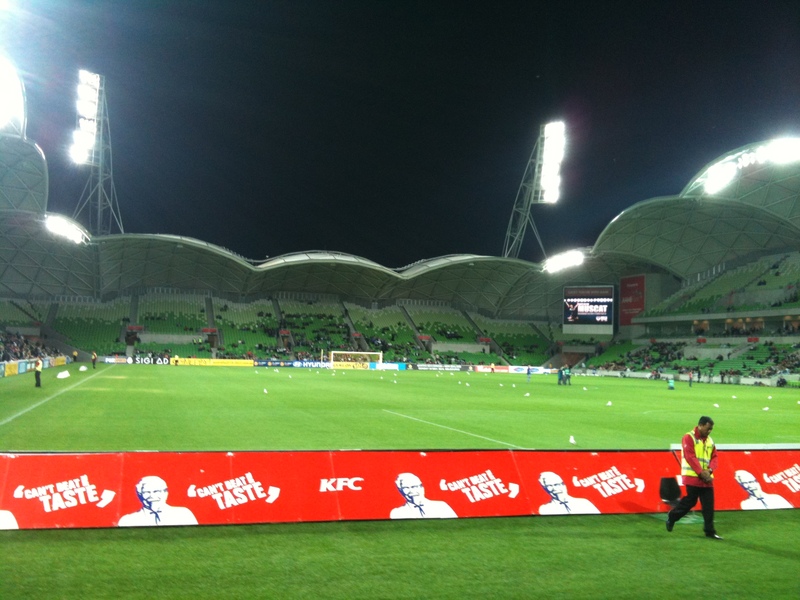 My football team, Melbourne Victory will be one of the tenants and thus provides me with added interest as I will be spending vast periods of the rest of my life in this stadium. So it was much anticipation that I finally got to go inside the stadium on Friday night and to see if it was as good on the inside as it appeared from the outside. And I wasn’t disappointed. Not only have Cox Architects created an eye-catching stadium that will be the benchmark for stadiums to come in this country for years to come. 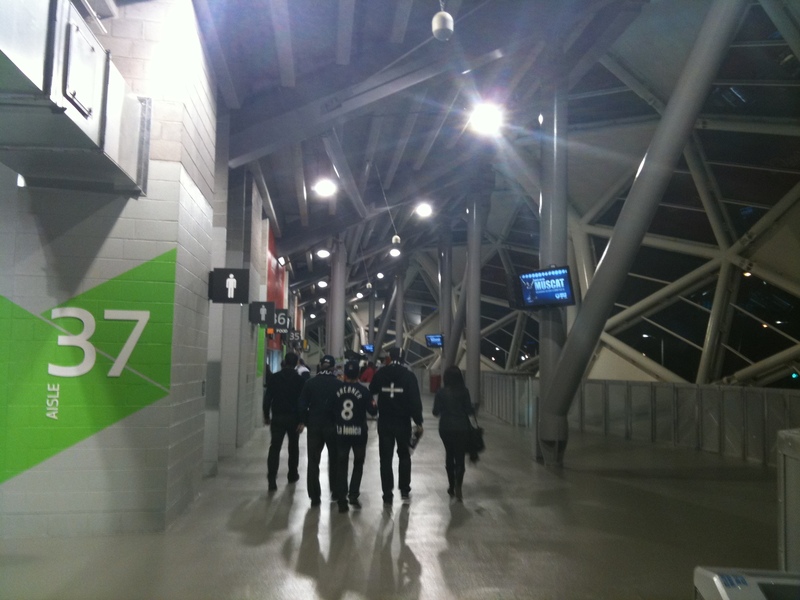 What struck me were the similarities between this stadium and the Sydney Football Stadium, also by Cox Architects, especially when it came to the experience inside. 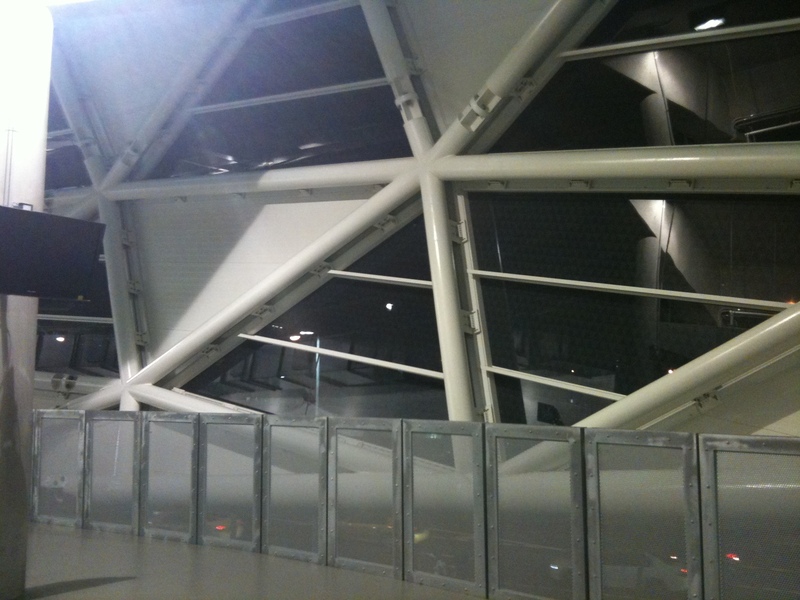 Also impressive was the fact that not only do you experience “the bubbles” externally but internally as well as you transverse the internal concourse looking for your seat. You would have to say that in recent years Cox Architects’ Melbourne office sure has stepped it up a notch in terms of design and have or in the process of putting some serious landmarks on the city’s landscape. 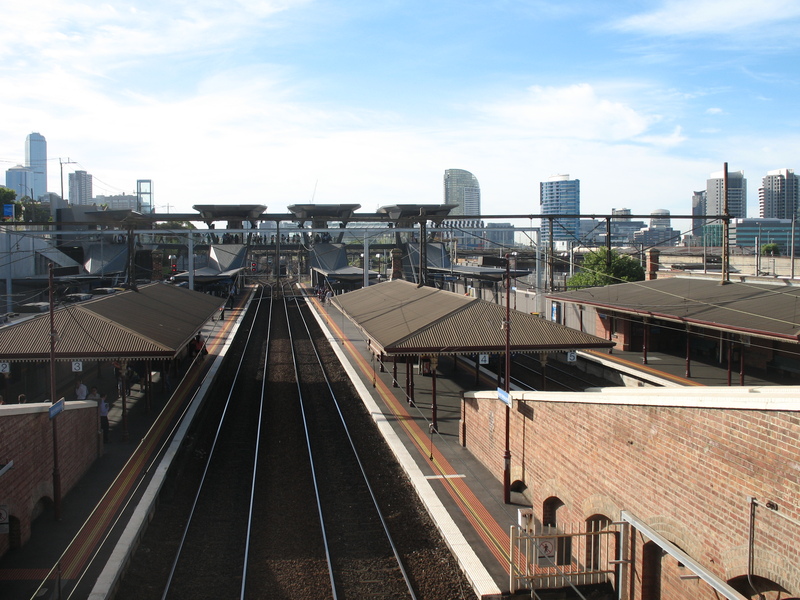 I am a massive fan of the under construction Rectangular Stadium (partly because I am a football nut), but their recently completed redevelopment of North Melbourne railway station is also worthy of mention. 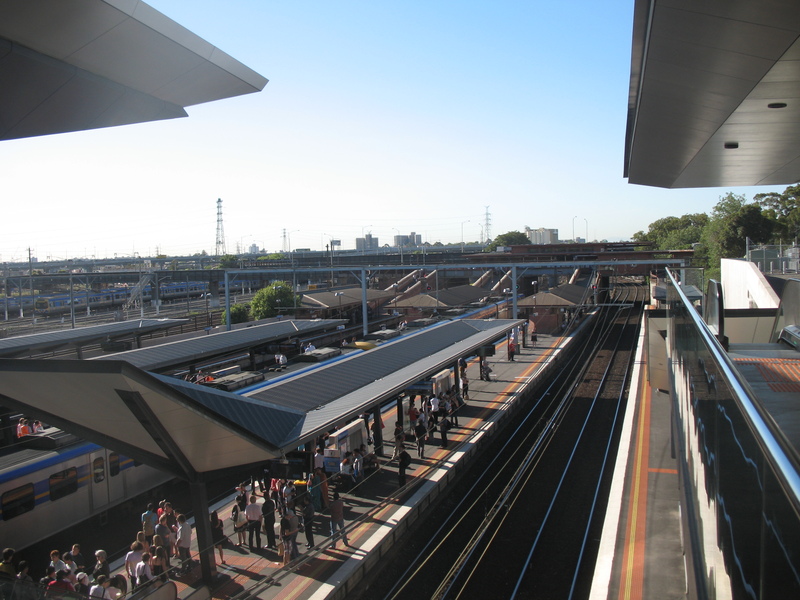 Since I have moved to Yarraville I get to experience the station on a daily basis and I have say that I am very impressed. It is an excellent blending of the old and the new which I hope my poor photography skills illustrate. If not, go have a look yourself. 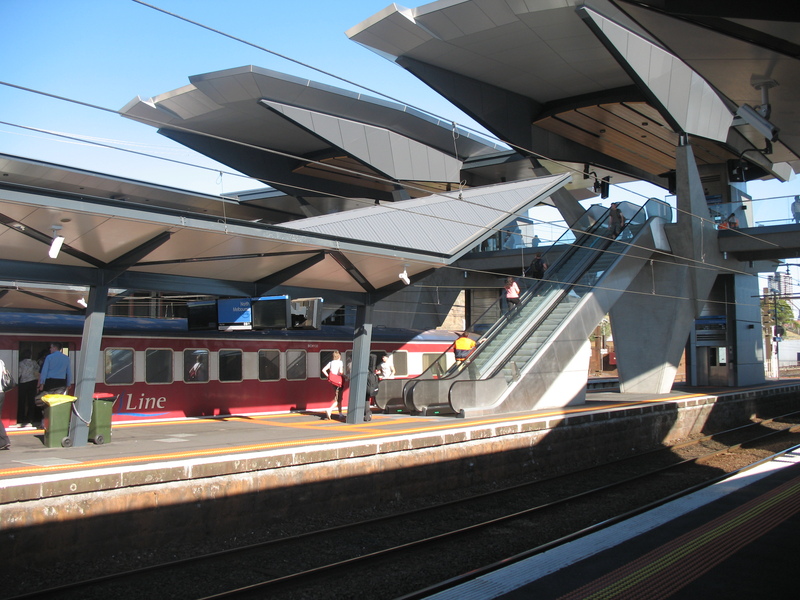 This successful upgrading of a tired station surely puts pressure on the State Government to seriously consider upgrading Melbourne’s other “gateway” station, Richmond, which now is definitely the poorer cousin.